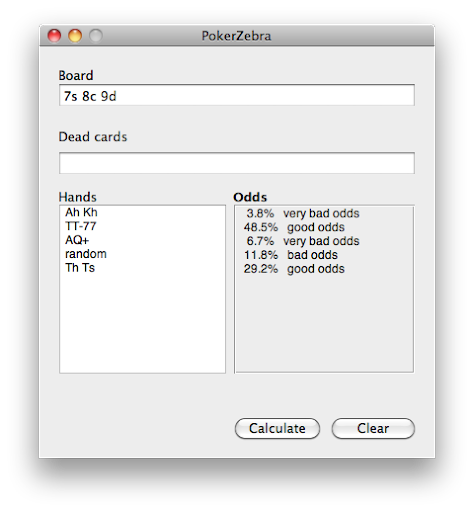 PokerZebra is a Texas Hold’em Poker Odds Calculator for Mac OS X. Poker Zebra 0.5 is now available for download. I’ve tried to copy the syntax PokerStove uses. But lacking any PokerStove user guide I had to guess. Let me know if I got things wrong.